Chinese smartphone manufacturer Vivo has officially pointed to bringing Vivo Nex smartphone's next generation handset to China soon. The company has posted three teasers of the official website Vivo Nex 2. Based on the teaser, it can be said that this smartphone will come with dual display, three rear cameras and strong night photography capability. Vivo Nex 2 is expected to be launched in December itself. Together these three teasers are pointing to this smartphone coming into the market soon. On Vivo's official Chinese website, the company has started taking registrations for the next phone of the Vivo Nex series. In the first teaser, three cameras are coming out which is indicating that Triple Rear Camera setup in Vivo Nex 2 will be setup. The second teaser confirmed that the phone will have two displays. The teaser features a ring-shaped light on the rear side which will help in getting better selfies. The phone lens appears in the third teaser, which is the size of the moon. This is a way to point out better night photography skills. These three teasers have been made live on the company's website. On the other hand, Tipster Ben Gescin has publicized photos made with Graphics of the alleged Vivo Nex 2 smartphone. There is no uncomfortable display in the smartphone. There is no noch in it and there is an in-display fingerprint sensor. There is also a screen on the previous part, but smaller. The triple rear camera setup is on the edge in the top. At the bottom, there is Vivo's logo in a small place on the lower part. These teasers and renderers emphasize the old claims in a way. There is very little information available regarding the price, specification and availability of this phone. After the official teaser arrives, it has got a hint of launch soon. 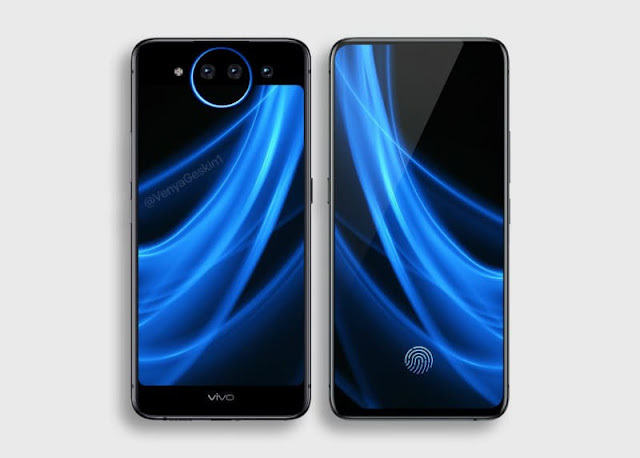 The Vivo Nex 2 design is inspired by the dual-screen Nubia X. This smartphone was launched in China last month at an initial price of 3,299 Chinese Yuan (about Rs 35,000).